It’s your holiday, so it is up to you which walk(s) you want to do. 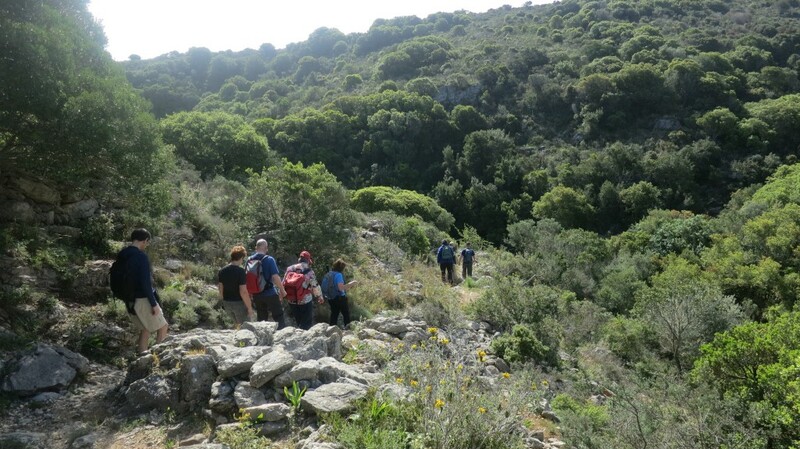 The walks are suitable for sporty and experienced walkers in good physical condition. 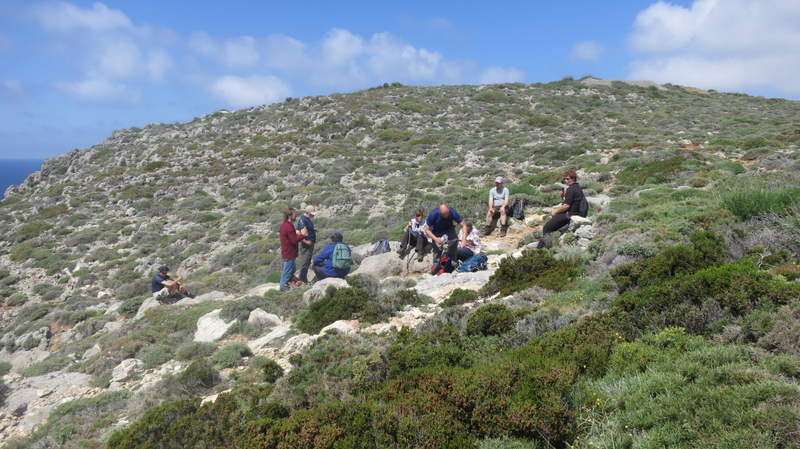 During these guided walks, Frank will explain in English and in Dutch about flora and fauna, history, culture and daily island life. 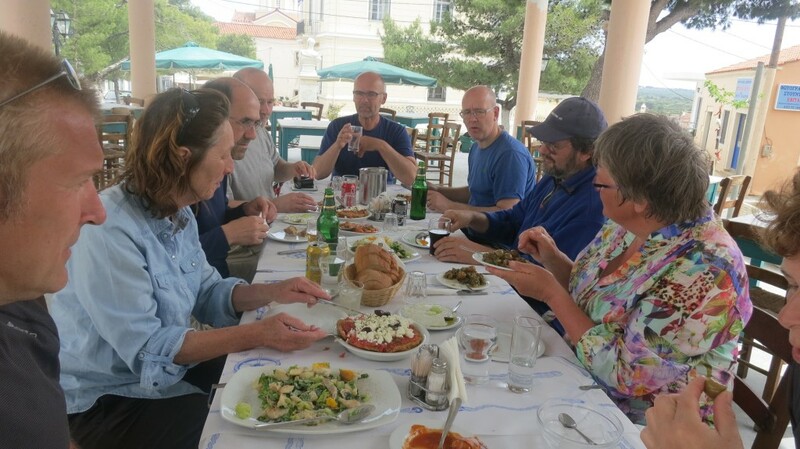 After – or during – every walk, you will have an open-air picnic or lunch in a local tavern, which is included in the price! You cannot wish for a better initial meeting with Kythira’s troubled history, in combination with its rough and overwhelming nature. 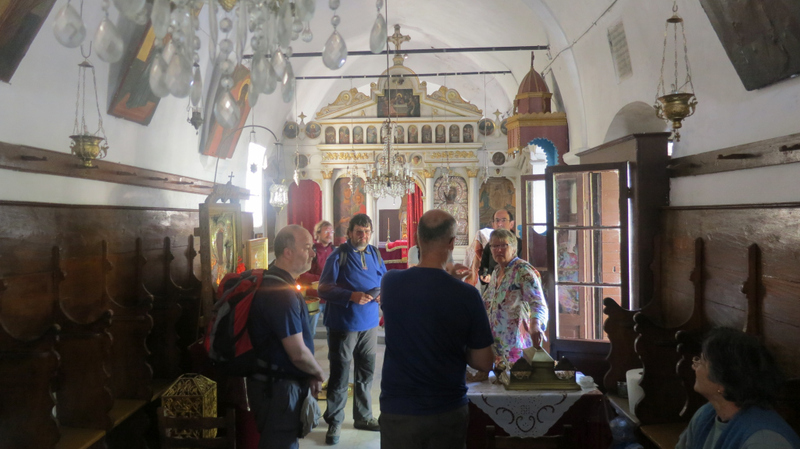 From Potamos, the route heads to Melitianika and Trifyllianika – in both villages we will have exclusive access to the churches. 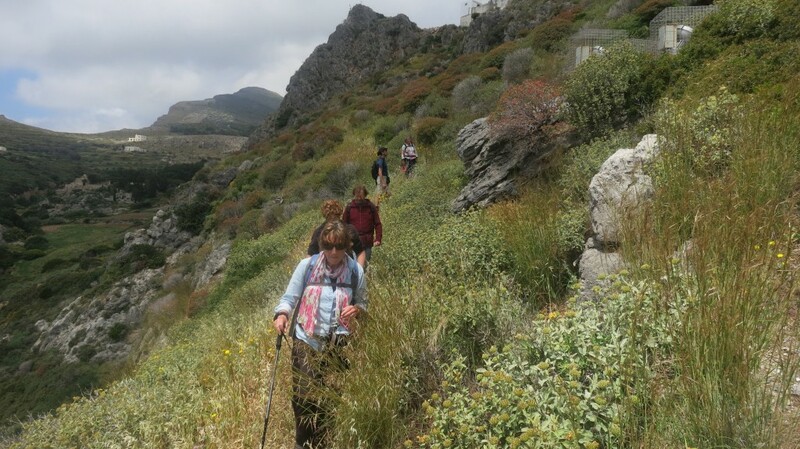 In Trifyllianika we continue the impressive walk through an exciting gorge reaching the spot where Paleochora looms up, high above you, on top of the rocks. After a strenuous climb, we reach Paleochora, the former capital and, since 1537, a cursed and desolate place. Of course, Frank will explain all the ins and outs. 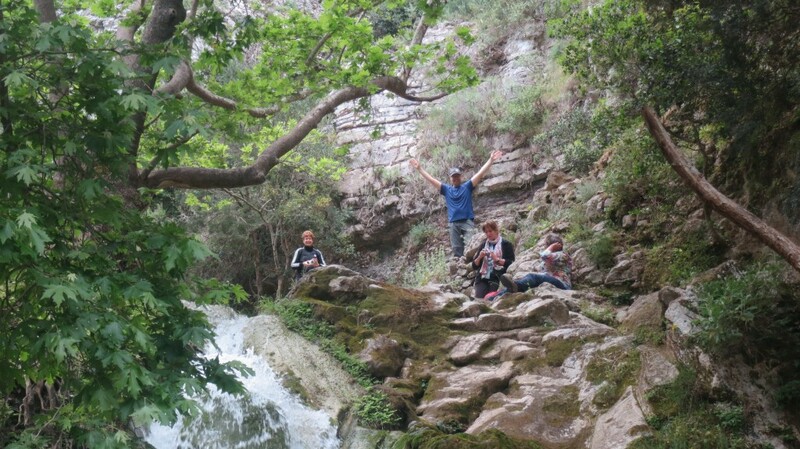 You will have plenty of time to enjoy wonderful Paleochora and its surroundings. 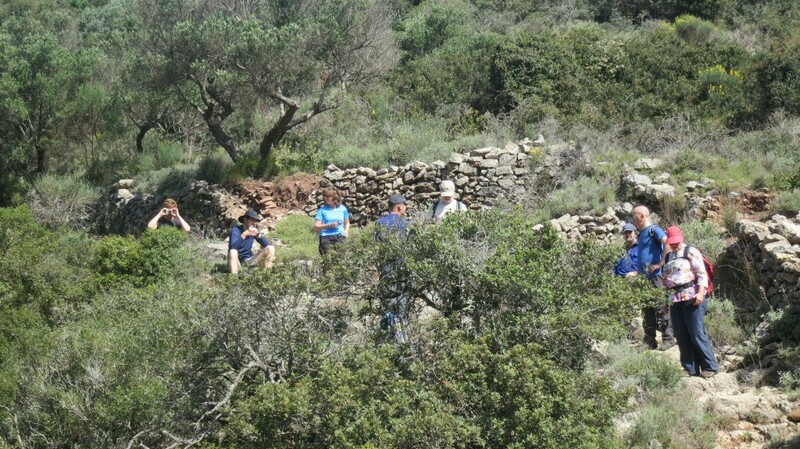 Along another track, a very old goat path, we will walk back to Potamos where we will have lunch on the village square. 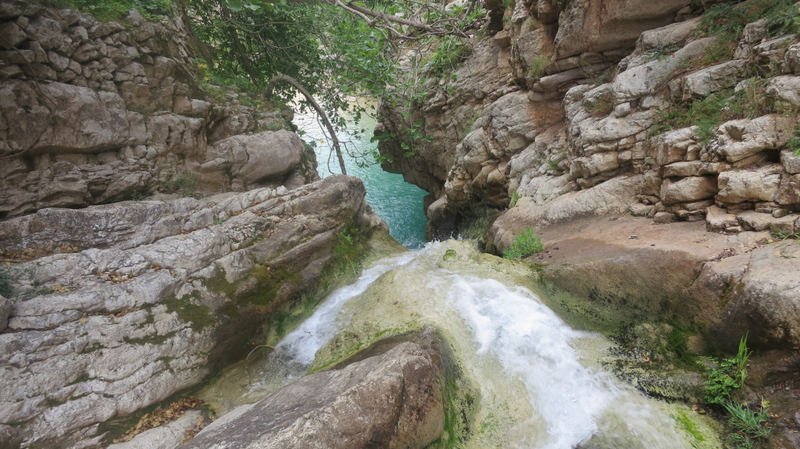 The most beautiful part of central Kythira is Mylopotamos and its surroundings. Mylopotamos literally means mill along the river. A stream starts in the village that finally ends on the west coast, at Kalami Bay. Along this stream, you will see 23 impressive watermill ruins. 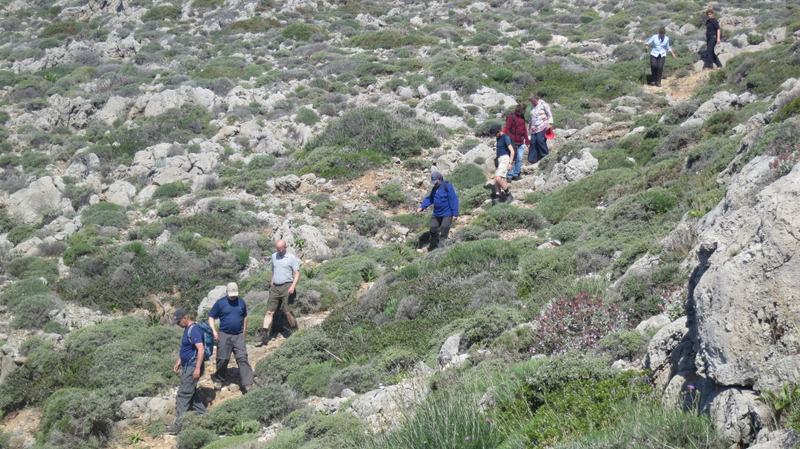 After having climbed up out of the gorge, we head towards Kato Chora, a Byzantine settlement, built on top of rocks. Here, you will step back in time and see many ruins and churches. 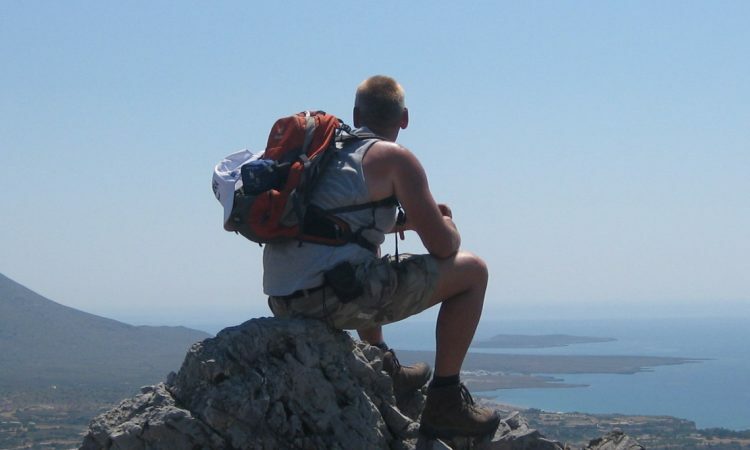 Your head filled with impressive images, we walk back to Mylopotamos. Depending on the season, we will have a stylish picnic in Kato Chora or lunch will be served after the walk on Mylopotamos village square. 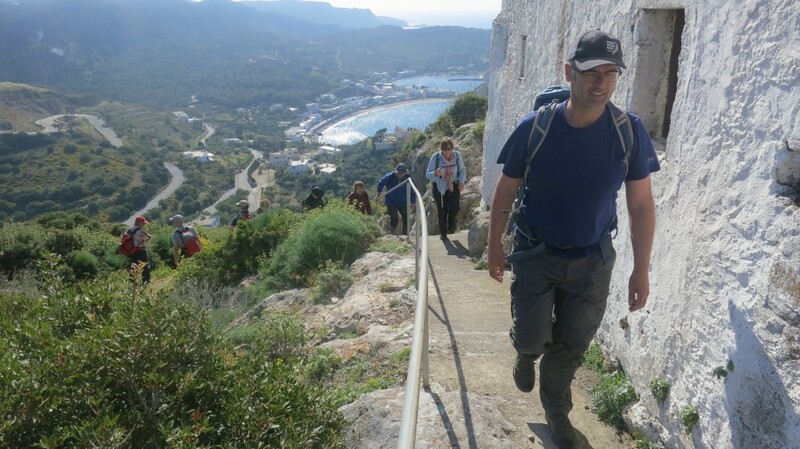 Chora, the island’s capital, cannot be omitted from Frank’s favourite walks. After a stroll through the narrow alleys and the numerous churches of medieval Chora (Mesa Vourgo), we visit the Venetian Castle. 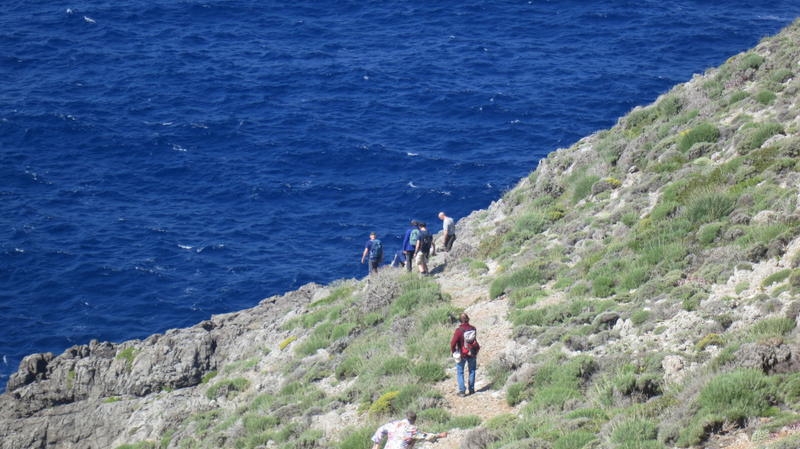 Then we walk to Trachilos, Kythira’s South Cape from where you will enjoy the stunning views. 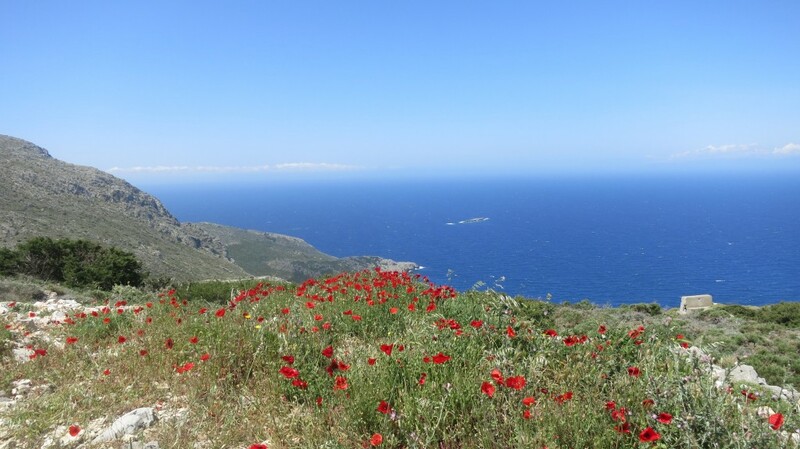 Back in Chora, we walk along the mighty Kastro towards Kapsali, along the coast. 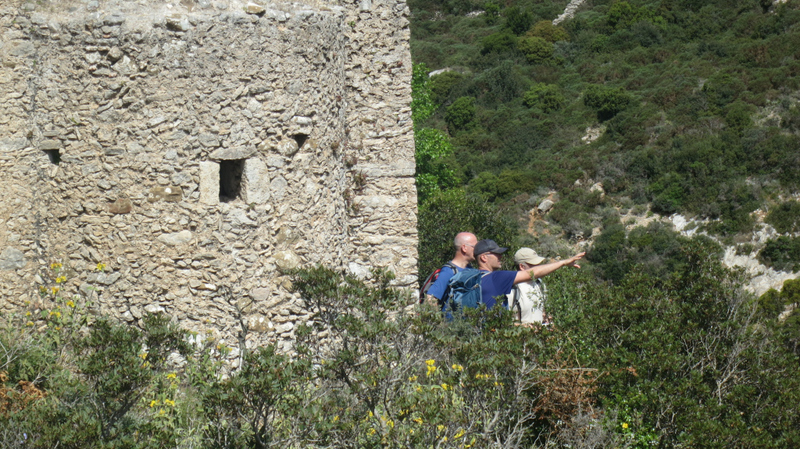 In Kapsali, Frank will explain to you the history of some buildings from the English period. Sitting at the idyllic bay, we will enjoy a tasty lunch. 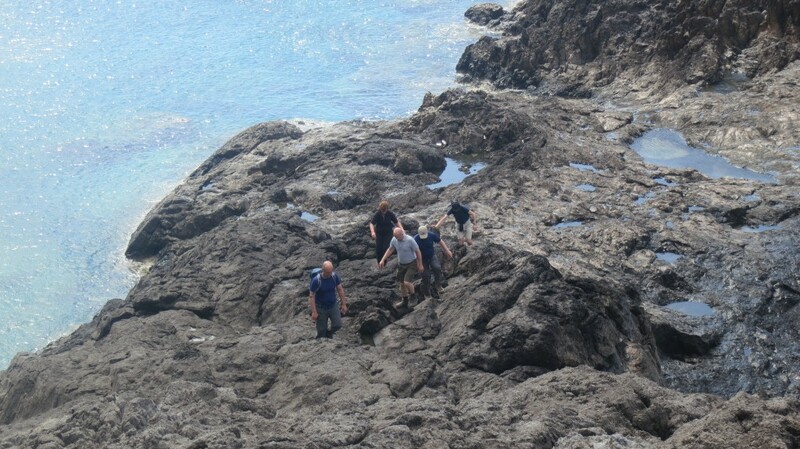 Of course, there will be time for a swim, but then we have to go back to Chora …..
Order now this unique walking program! We will confirm your booking as soon as possible and we inform you about the payment. • Professional guidance by Frank (Dutch and English spoken). • Minimum number of walkers 4, maximum 10. 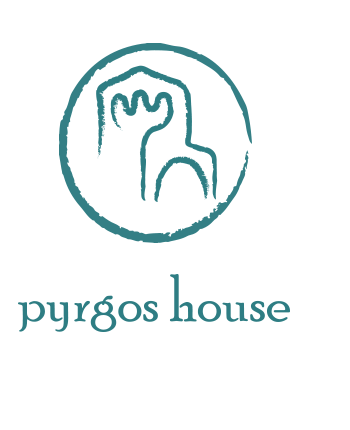 When there are insufficient participants, Pyrgos House will inform you about cancellation two weeks before the starting date. • You drive on your own to the point of departure. Every walk ends at the departure point, where you have parked your car. If you don’t have a car, Frank will arrange transport. Please inquire at the time of booking. 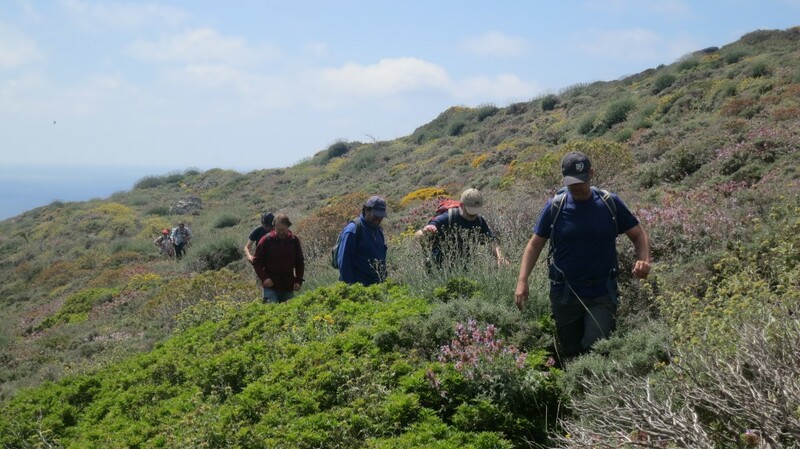 • If you are already on Kythira, without having booked for this walking program, and you wish to join us, please call Frank at (0030) 698986 3140 or come along to the Pyrgos House office in Potamos (next to the church).